There is no denying that foods that taste good have a tendency to be high in calories, fat and various other things that are not the healthiest option for our bodies. However, although some low calorie options may seem boring and flavourless, there are plenty of options that taste great and contribute very few calories to your intake. Supermarket shelves are becoming the home to more and more low calorie, sugar and fat free, artificially sweetened products, which in some cases don’t taste bad. However, to remove the fat and sugar from products and still retain a reasonable taste, it is often necessary to add many artificial flavours, preservatives and other chemicals. There is little long term evidence as to how these compounds affect our health so for this reason these types of foods, whilst low in calories, may not be the best option in terms of nourishing our bodies. These foods are also often low in nutrients as well as calories and it is important to remember that a healthy body is not just about being thin and eating fewer calories, but perhaps more importantly giving your body the nutrition it needs to function correctly. It may therefore be advisable to eat a few more calories for the sake of some nutritional value. The ideal situation is to consume foods that are not too energy dense, i.e. lower in calories, that still provide nutritional benefits to the body, rather than being just empty calories. Fruit is a great low calorie way to satisfy a sweet tooth, and when bought in season and ripe can taste pretty good too. As fruit is made up largely from water, the calorie content is low, however this does not stop it from being packed with vitamins and fibre. For a wide variety of nutrients, vary the fruit you eat as much as possible and add interest by making fruit salad, or baking fruit in the winter for a warm treat. The lowest calorie options when it comes to fruit are those particularly high in water such as watermelon, which has around 90 calories per slice, apples which have around 80 calories per medium fruit and oranges which have around 60 calories in a medium fruit. Tropical fruits also tend to be lower in calories, with the exception of bananas which have higher carbohydrate content and therefore more calories. Although these are fruits, their exceptionally low calorie status means they deserve a category of their own. After all what tastes better than a bowl of fresh juicy berries! Berries are also particularly rich in antioxidants which help to protect our bodies as well as plenty of other vitamins. A cup of strawberries weighs in at about 46 calories, so dig in knowing that you are doing your body good with minimal calories. Vegetables in general are a good way to fill up and eat more whilst consuming fewer calories and they do contain a great variety of nutrients and fibre. Although they may not generally be thought of as delicious with a few added ingredients they can easily be part of a tasty salad or main course. The best tasting vegetables tend to be the ones in season and if possible try to buy from as close to the source as possible as these are a lot fresher. Farmers markets are an excellent place to find vegetables that are in fact delicious in their own right. Get creative with your veggies and try different combinations and flavours to jazz them up. If you are not a fan of vegetables try grating them and mixing into other dishes such as spaghetti sauce or mince based meals to make meat go further and reduce the calories in these dishes. It is important to remember that whilst most vegetables are low in calories, starchy ones such as potatoes, sweet potatoes, pumpkin and swede are all higher in calories and portions of these should be controlled. Also read: Are frozen vegetables nutritious? This tasty mix of chickpeas, tahini and olive oil makes a great nutritious low calorie snack, especially served with a few vegetables sticks. High fibre and healthy fat content tends to help fill you up and keep you fuller for longer too. 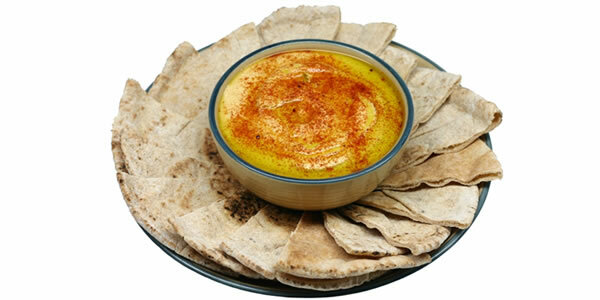 One tablespoon of commercial hummus contains about 23 calories. Broth based vegetable soups are a great low calorie, nutrient rich winter warmer that are just as comforting as higher calorie comfort foods. Opt for tomato or stock based soups rather than cream based versions as the latter can contain a large amount of fat and calories. These fresh soy beans make a great nutritious snack that is low in calories. A handful of edamame makes a good replacement for other snack foods such as potato chips or crackers. Fifty grams of these will equate to about 75 calories. Although it is now agreed that eggs are a healthy addition to our diet and not harmful as was once thought, if you are watching your calorie intake, it may be beneficial to stick to just the whites. These are low in calories and fat and high in protein, meaning they can help to keep you full for longer. Most of the nutritional value of eggs in found in the yolk, but to cut calories, try using one whole egg and one white in foods such as omelettes or for eggs on toast. One large egg white provides just 17 calories. A quick, tasty and low calorie snack that is high in protein and low in fat. Plain tofu can taste quite bland, but a little marinade can make it much more palatable without adding many more calories. This can also be mixed into a salad or stir-fry or served on crackers. Plain home popped popcorn makes a good low calorie snack, but avoid buttered, sweetened or flavoured versions as these are much more energy dense. Flavour with a little cracked black pepper or paprika to make it a bit more interesting. One cup of popcorn contains around 35 calories. Packed full of nutritious tomatoes, this healthy dip provides nutritional value without too many calories. Be careful what you dip in it though, as fried dippers such as corn chips can add a lot of calories and are easily overeaten. Dip vegetable sticks or homemade oven baked pita chips for a healthier option. A twenty gram serve will give you about four calories.